A violent man who pushed and punched his partner during two assaults has been spared from jail. 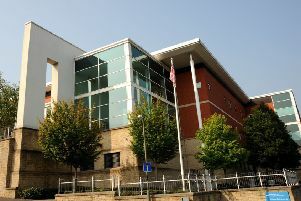 Chesterfield magistrates’ court heard last Wednesday how Gareth Robinson, 37, of Sycamore Road, Hollingwood, Chesterfield, pushed his partner into a sink and a door and the following day he pushed her into a kitchen unit and punched her in the ribs. Robinson told police he had been angry but he was sorry for what he had done. The defendant pleaded guilty to committing two counts of assault by beating after the attacks on January 17 and 18 at Barrow Street, Chesterfield. Magistrates sentenced Robinson to 12 weeks of custody suspended for 18 months with drug rehabilitation, a better relationships programme and a rehabilitation programme.